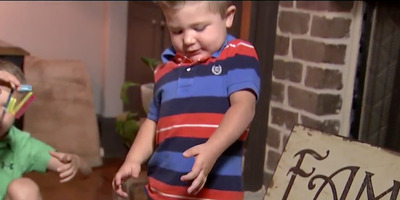 WSB-TVThree-year-old Carter Abernathy is among the dozens of patients across the country who have been diagnosed with AFM. Officials at the Centres for Disease Control said on Monday the number of cases has spiked in the last month, with now 286 suspected cases. Doctors aren’t sure what causes the rare illness, but some believe a certain virus may be responsible for the recent uptick in cases. 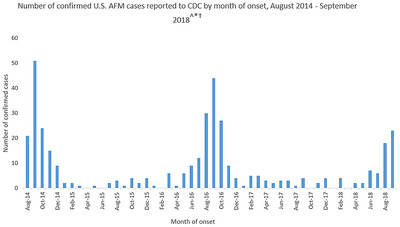 Officials with the Centres for Disease Control and Prevention revealed on Monday that the number of suspected AFM cases has grown to 286, though medical experts are still baffled as to what is causing the spike in the rare illness. Last month, the number of suspected cases was at 155. 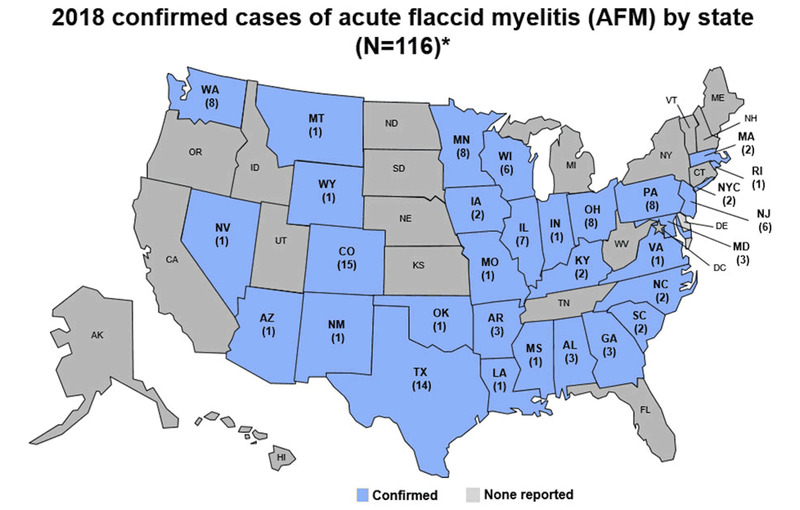 The number of confirmed cases is now at 116 in 31 states. 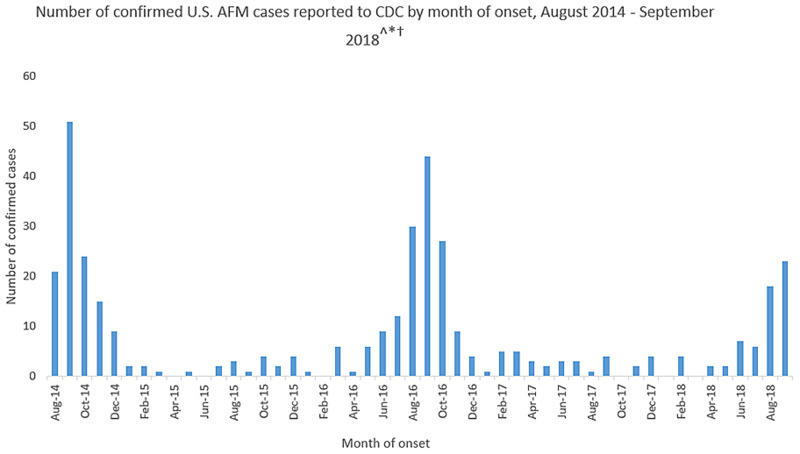 That’s a stark increase from the end of October, when there were just 62 confirmed cases in 22 states. 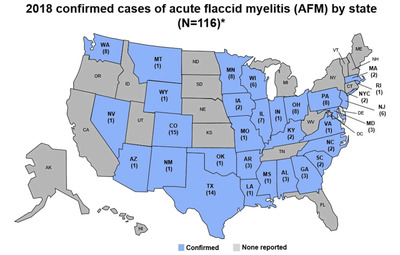 CDCA map released by the CDC shows which states this year’s confirmed AFM cases have been reported in. 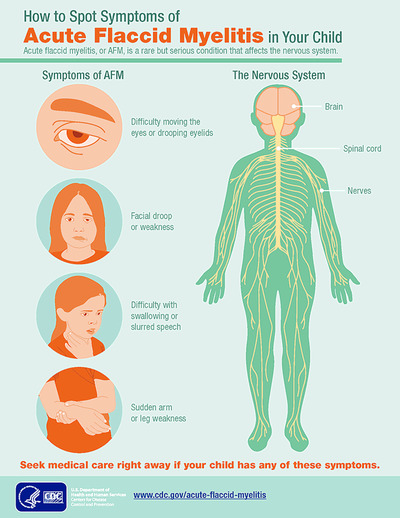 Medical experts still don’t know much about the rare disease, which strikes just one in 1 million Americans. It’s believed that viruses like polio, West Nile, and various enteroviruses (which cause the common cold) may be linked to AFM.